You can use this extension to easily assign a K2 item to more than one K2 category. 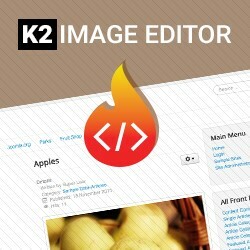 With a very simple usability you have now a new tool to extend the content management of the powerfull K2 Component. If you find Additional Categories for K2 useful, please support the development and make a donation. Thank you. Copyright © 2011 - 2012 netpin.gr. All rights reserved. Joomla! is a registered trademark of Open Source Matters, netpin.gr is not affiliated with or endorsed by Open Source Matters or the Joomla! Project.The Joomla! logo is used under a limited license granted by Open Source Matters, the trademark holder in the United States and other countries.